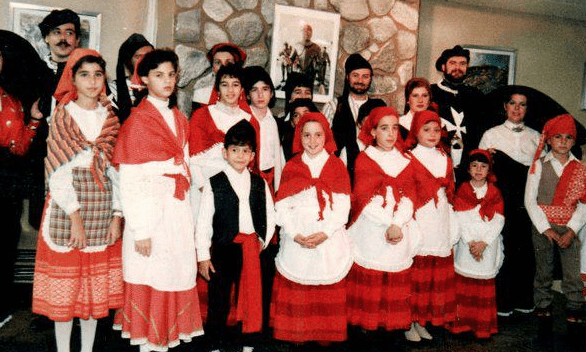 A fellow Maltese Facebook-er just posted this shot of me and some friends dressed in traditional Maltese Garb. This is HILARIOUS!!!!! I must have been 11 or so. I’m the one in the front row NOT smiling right next to the girl in the center looking straight at the calendar. As you can see, I was NOT happy that my mother signed me up to do this. I’m first generation though – and things like this just came up. LOL! You look like Natalie in this picture. I was just about to say the same thing! You look JUST like her!